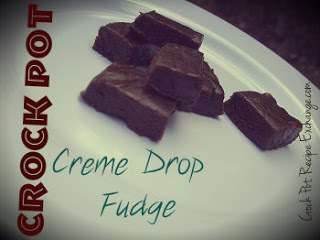 I’m constantly trying to find a crock pot dessert that will do two things…. 1.) Be delicious and 2.) Look pretty. Now lord knows I’m not one to say anything bad about (of all things) the crock pot. The truth of the matter is though that a lot of things that come from the crock pot aren’t pretty. 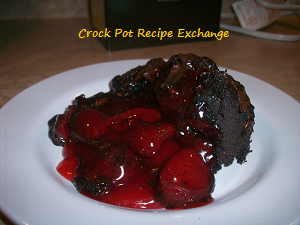 Here is how I made the best crock pot dessert ever— chocolate covered strawberry crock pot dump cake– a mouth full to say, but OH SO WORTH IT! 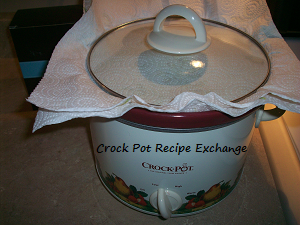 Start by using the butter wrapper to grease the inside of your 2 – 3 quart crock pot. 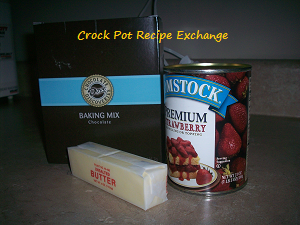 Now pour the can of strawberry pie filling into the bottom of the crock pot. Make sure it’s evenly spread out. The DCD Baking Mix will have two bags inside the box. One is the actual baking mix and one is the Dark Chocolate baking bits. Open the baking bits and evenly distribute 1/2 of them over the strawberry pie filling. Be careful to not let any of the baking bits touch the side of the crockery. At this point you’re going to sprinkle the baking mix evenly over the baking bits layer. 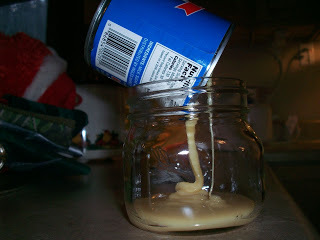 If you need to, use the back of a spoon to spread it out as even as possible. Add the remainder of the baking bits (again, not letting any touch the side of the crockery) evenly over the baking mix. Pour the melted butter on top of the last layer. You want to make sure this is evenly distributed. Lay two paper towels over the top of the crockery and secure with the lid. 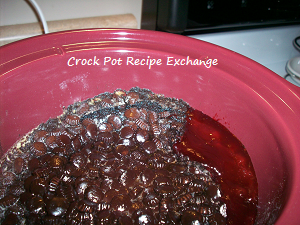 This will keep any condensation from getting into your crock pot dessert and causing it to be watered down. Turn to low and cook for 2 – 3 hours. Mine took exactly 2 hours, but always trust your nose. If you start smelling it… CHECK ON IT!! Now you can serve it up as is or top it with whipped cream or vanilla ice cream. I assure you this though…. it is SO decadent and SO delicious everyone will be asking you for the recipe. Also know that it is rich too, so a little goes a long way (for those of you that like to double the dessert recipes (o; ). *NOTE* DCD Baking Mix can NOT be purchased in stores. Also know that you can substitute a boxed chocolate cake mix and a bag of chocolate chips for the contents found in the DCD Baking Mix box. 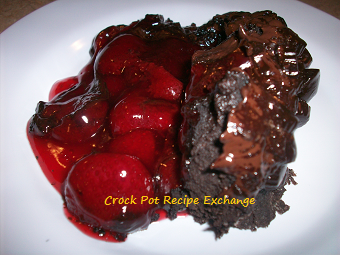 See Chocolate Covered Strawberry Crock Pot Dump Cake on Key Ingredient.